I've always liked the way the light comes into the tiny window of the guest room on a weekend morning and slowly spreads across the furniture. 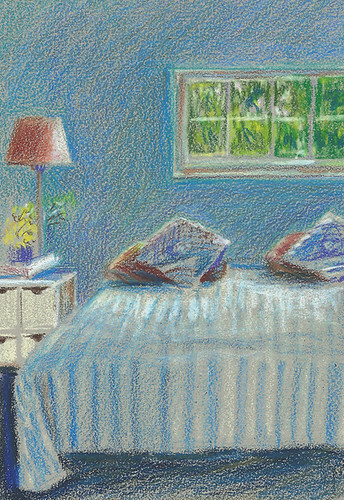 Prismacolor colored pencil on Canson Mi-Teintes Touch paper, sketched as I looked through the doorway into the room. Nice comfy looking space for visitors!! !